To me, Corralejo seems to be kind of an overlooked brand. It's easy to find, so you don't get excited when you see it in a store. The bottle looks great, but there's no "buzz" around the tequila. 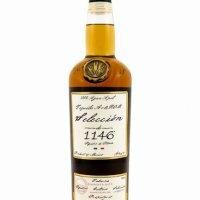 The reposado is one of my favorite to put in a margarita. I hope that the blanco lives up to it's lightly aged brethren. Aroma: A really light agave aroma with light citrus and floral notes. Initial Taste: A fruity agave entry. Simple, but nice. Body: A medium and slightly oily body. The sweet agave flavor is really nice and there's just a hint of fruit and nice agave pepper kick. Finish: Medium length finish. A nice, smooth finish with pepper note. No harshness at all...very pleasant. This is a really solid blanco. There's nothing that makes you stand up and say "wow," but it's a damn fine drink at a good price. This can be mixed or sipped and it will serve you nicely either way. Don't overlook this one. It's going to be better than 80%+ of what you see otherwise on the shelf. Clear in color the aroma begins with floral and slightly minty and piney notes. The initial taste is straight forward smokey agave. It has a very silky texture, light body and a slight alcohol burn. Pretty long finish that lingers. Nothing out of the ordinary or special but an above average tequila nonetheless. I do not care very much for the presentation but as long as it tastes good who cares. Tasted out of caballito glass. Corralejo blanco is a decent tequila. it leans on the subtler side of blancos. Another good one for beginner tequila drinkers. I would think it would make a decent mixer too. Initial Taste: An oily mouth feel, on the tip of the tongue its fairly sweet. Body: A mellow agave body with hints of smoke and fruit. Finish: Of short duration, with no alcohol burn. Tasted on the rocks on February 8, 2008 with a lime served on the glass. Drank without lime. Taste: agave, peppercorn and mint with a light body helped by the melting ice, a smooth burn from first sip to last. A blanco I will try again straight and mixed. I recommend tasting the entire Corralejo family. Corralejo Blanco ? NOM 1368 ? Tasted 4/8/07. The tequila is clear in color. Beginning with intense fruity, earthy, and floral aromas, the deeper aromas include moderate spice and a hint of smokey scents. On the tip of the tongue there is a slight burning sensation that is followed by a sweet, low bitter taste. Upon tasting, the tequila has intense floral and agave with moderate fruity flavors. Lastly, there are mild flavors of earth, spice, and smoke. 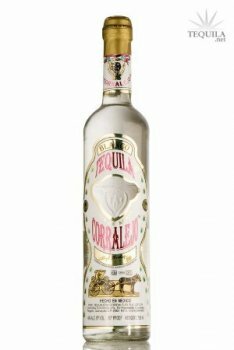 Corralejo Blanco tequila finishes with a medium-to-long duration of flavor and numbing alcohol intensity. Overall, I rate this tequila at the ?A-/B+? level.